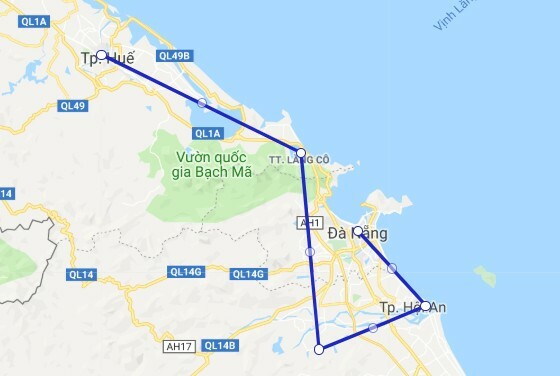 This tour can be named as a heritage tour as it goes through 3 world cultural heritages in central Vietnam including Hue Ancient capital, Hoi An ancient town and My Son Holly land.The trip starts with the flight to Danang to visit Cham museum, China beach, etc. Then comes to Hoi An ancient town to discover the uniquely old things such as the ancient narrow lanes of Hoi An, Tan Ky old house, and so on. The tour continues with the discovery of the Cham people’s style of architecture and sculpture in My Son Holy land. The last but not least interesting destination is Hue ancient capital, home to the formerly Royal family the tombs of Kings and other old-age but romantic places of interest. Arrival at Da Nang airport, pick up and transfer to the hotel. Check in and relax. Afternoon tour to visit Cham Museum, Marble Mountains, stone- carving village of Non Nuoc, Son Tra beach and free time on the beach. Overnight at hotel in Da Nang. Transfer to Hoi An (30km), the most attractive ancient town in South East. Arrive in Hoian, explore the ancient narrow lanes of Hoi An. Visit the old house of Tan ky, Japanese Covered Bridge, Thu Bon river and Phuc Kien Assembly Hall and then at leisure for relaxing or swimming on Cua Dai beach. Travel on rural roads to My Son (55km), where explore the architectural treasure and sculptures of Cham dating from the 7th to the 13th century. My Son still remains 20 of the original 70 structures intact. Then take a boat on the Thu Bon back to Hoi An. On the way back, visit wood carving village of Kim Bong, ceramic Thanh Ha village. After breakfast at your hotel, transfer to Hue (140km), widely known for its magnificent monuments built under the Nguyen Dynasty (1802 -1945). On the way to Hue, stop over at Hai Van Pass and Lang Co Beach. Arrival in Hue, check in hotel and free time. A day tour of Hue, visit to Thien Mu Pagoda, the tomb of King Minh Mang and King Tu Duc and Imperial Citadel. Spend last day Thanh Toan village by bicycle and Dong Ba Market. After lunch, transfer to airport for departure. End of services. Inform in advance if you are vegetarian. Don’t wear singlet, shorts, dresses or skirts, or tops with low-neck lines and bare shoulders to temples, pagodas. This is our 2nd time with this company and the experiences are all good. 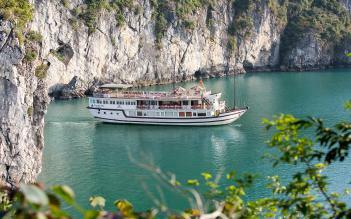 Two years ago, we booked their service for Halong Bay Cruise and got our wonderful evening food tour in Hanoi. This time we asked them to help our group to arrange a 6-day tour to the center of Vietnam. Their accommodation arrangements, guides, drivers, restaurants were all top-notch and the rates were also very reasonable. Our family of 5 persons traveling within a package tour by Asia Package Travel. Our tour guide was perfect in English. She could speak very good Chinese and very helpful. We were happy with their service and recommend them highly. The hotel they chose really nice and clean, all in center. Many thanks for good arrangement. Many thanks to Deen arranged a wonderful package for us. Hoi An is a very under-rated tourist destination. It was an absolute pleasure to visit this town with its hundreds of market stalls, shops and unique architecture. There is a cosmopolitan atmosphere with visitors coming from around the globe, and a visit here is not to be missed. Hue is quiet in the evening. This is one of my most favorite tour in Asia. I highly recommend checking out this company if you're looking for travel advice. They are super helpful, not pushy and very friendly. Nancy helped me out, gave me all of the options for what I was looking for, plus more I didn't even know about, and was in contact with to make sure everything went smoothly. As a solo traveler this is my kind of business, as I don't like feeling pressured but sometimes need help with recommendations. Highly recommend!! We ended up here by chance, while all the other agencies have not been very helpfull in providing information everything change when we spoke with lily, she was able to understand what lind of trip we were planning and she assisted us 24/7 on the phone. I strongly recommend Asia Package Travel!